We have had a long, hot summer here in London and I have been trying to keep my skin healthy and hydrated during the heatwave. Spending days on end in the direct sun can have a huge impact on your skin, so it is important to always give your skin some aftercare. 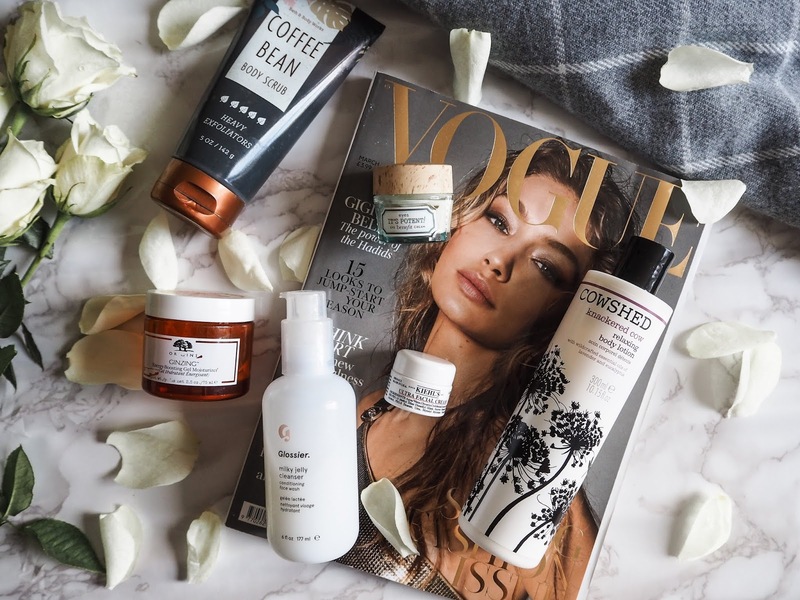 I thought I would share some of the products I have been reaching for and tell you what hydrating products have been keeping my skin moisturised throughout the summer months. I have been looking after my skin by giving it a really good exfoliation a few times a week. 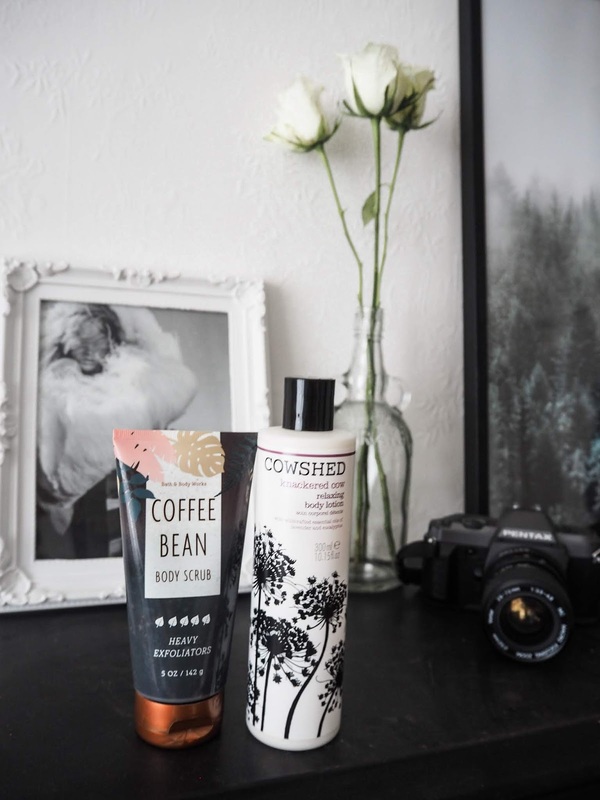 I have been using this Bath and Body Works Coffee Bean Scrub, which I picked up in New York earlier this year. It is a very rich and heavy scrub, that smells heavenly. With a mixture of coffee bean and vanilla scents, it not only leaves my skin feeling extremely soft, but also smelling sweet. 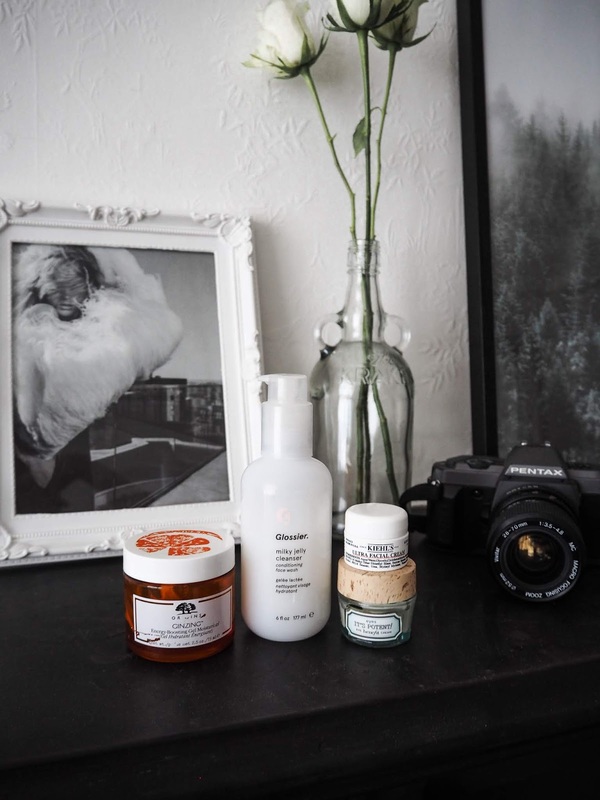 I try to moisturise my body both morning and night but I don't always have the time in the morning, so I ensure to always incorporate it into my night time routine. I have been loving massaging this Cowshed Knackered Cow Relaxing Body Lotion on my body every night before bed. It contains hints of lavender and eucalyptus and feels very luxurious. This product also contains vitamin E, which helps prevent the signs of ageing - win win! 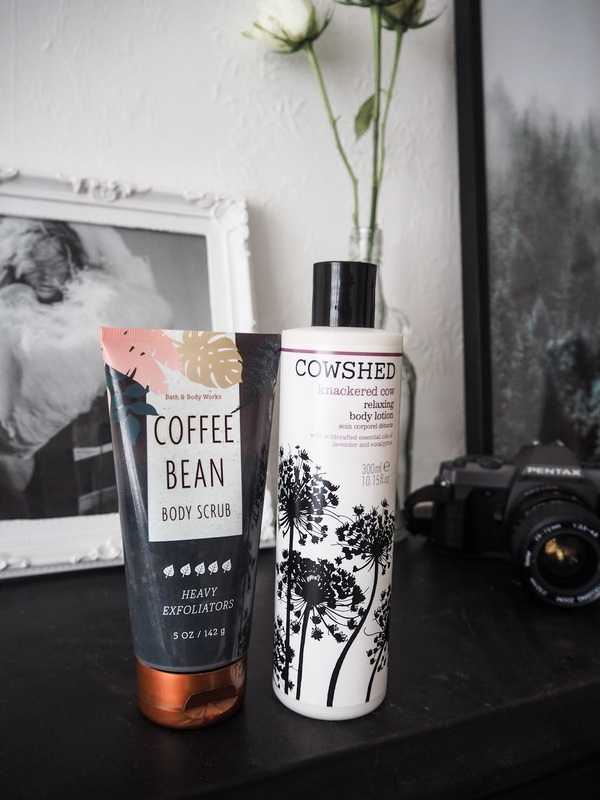 As moisturising is so key in the summer, I think it is essential to invest in a good body lotion and if you are looking for a new one, definitely give the Cowshed one a try. When it comes to skincare I have been using the Glossier Milky Jelly Cleanser on my face day and night over the summer months. I am so obsessed with this product. It took me a while to get behind the Glossier hype, but after visiting their showroom and picking up a few bits, this product has become a firm my favourite. This creamy cleanser not only cleans my skin but is extremely moisturising and leaves my face feeling super soft. After cleansing I like to give my skin a good moisturise. I tend to switch between the Origins Ginzing Energy Boosting Moisturiser and the Kiehls Ultra Facial Cream. 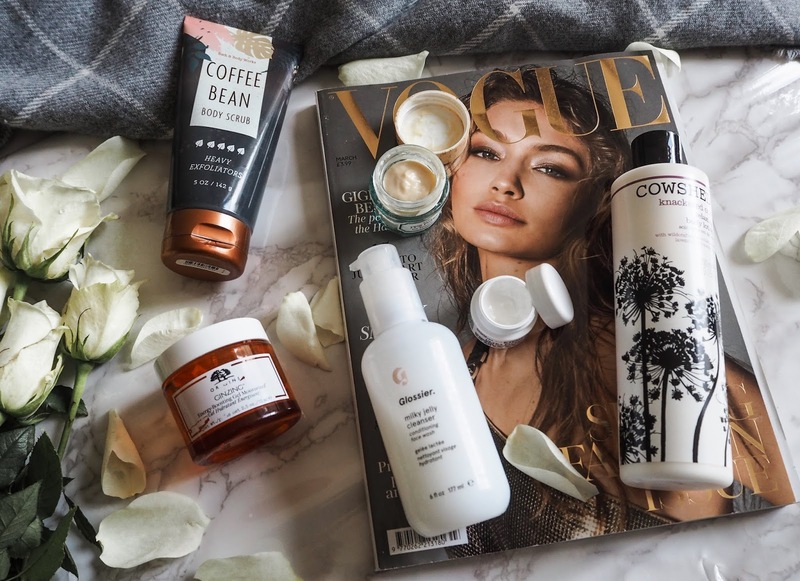 The Origins moisturiser is my all time favourite face cream, it is a product that I have been using for years day and night and is extremely hydrating and refreshing. However I have also been using this Kiehls face cream a lot this summer. I have been using in the evening's, a couple of night's a week to give my skin a deeper moisturise. It is an amazing product to rehydrate your skin and a little really goes a long way with this product. Lastly my eye cream of choice has to be Benefit It's Potent Eye Cream, which I apply both morning and night to brighten those under eyes and reduce the appearance of those pesky dark circles. 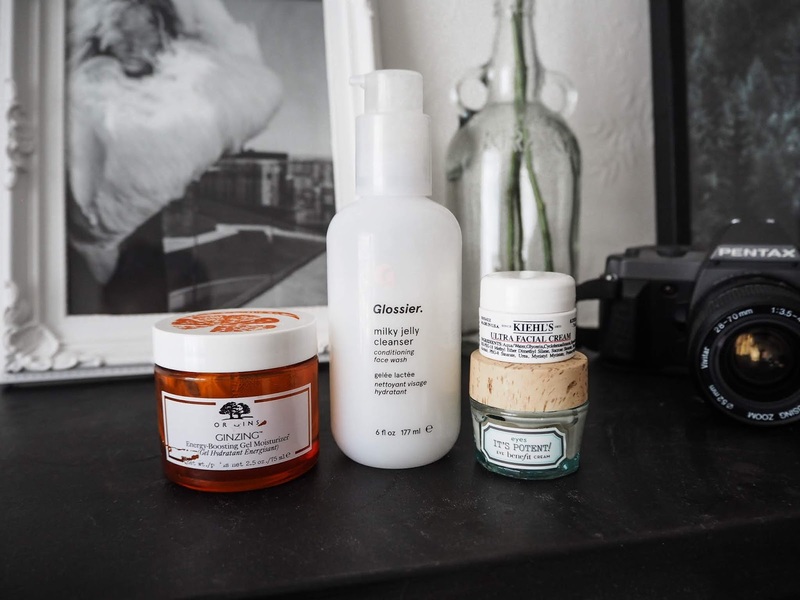 Hope you enjoyed reading about my favourite summer skincare products. I would also love to know what products you have been using this summer - are there any that I need to try? I love the Origins moisturiser! Can we just take a moment and talk about how amazing it smells? Great article. It is very useful and informative. I got some good ideas about this topic. Thanks for sharing this post.